A bag containing 110 grams (aprox. 250ml) of pumice. 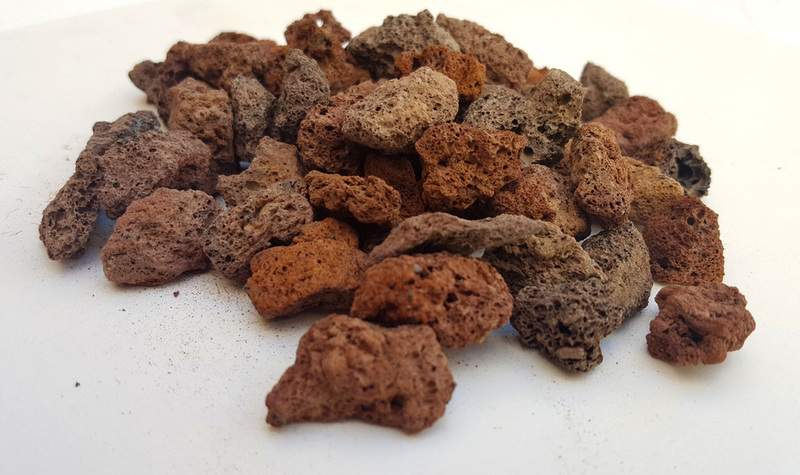 These red-brown stones are used as rocks on Red Planet tiles. Use with hot glue. You can use the rocks to add details to your terrain, cover spots on tiles, on large bases for your miniatures to match the terrain, or even repair minor areas on our tiles. The mix consists of 2-3cm long stones.